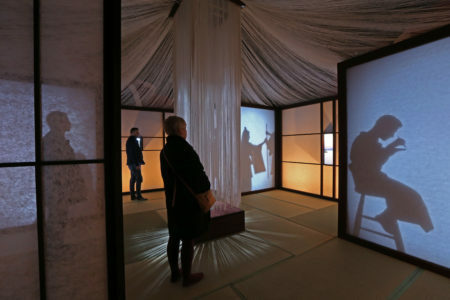 Stormy House/Arashi no ie is a walk-in multimedia installation which immerses visitors in text fragments and hauntings from the ghost world of Wuthering Heights and a parallel universe of kaidan (Japanese ghost tales). The uncanny elements of Emily Brontë’s novel are explored in an extended comparison with these ancient tales, which were collected and translated over a hundred years ago by Greco-Irish author Patrick Lafcadio Hearn. In a space inspired by a Japanese tea house, visitors find themselves between two writers and their writing rooms. Their words and drawings are the source of the immersive experience, which plays out in the form of multiple projections across several screens. Stormy House/Arashi no ie was created by Judith Adams, Stacey Johnstone and Simon Warner in collaboration with Misuzu Kosaka, Natsuko Toyoshima, Ima Tenko, Riko Murakami, Ayaka Morimoto, Aaron White and Zoe Katsilerou. 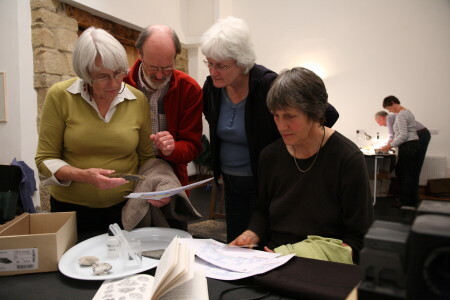 It was first presented at the Old School Room, Haworth 3-11 November 2018. 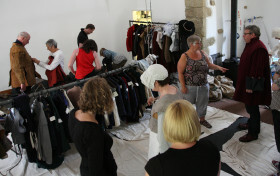 An installation by Whitestone Arts and 59 Productions, in partnership with Brontë Parsonage Museum and Theatre in the Mill. It is supported by Arts Council England, British Council, Bradford Metropolitan District Council, The Japan Society and Wabi Sabi Design. 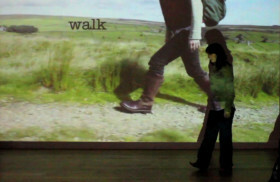 Whitestone was used as the development base for 50 Steps, a mixed media dance project celebrating the Pennine Way in its 50th anniversary year, 2015. 3 dancers, a composer/musician and a videographer undertook a series of 5 walks on different sections of the National Trail and produced a creative response the same day in improvised performances at 5 local venues. 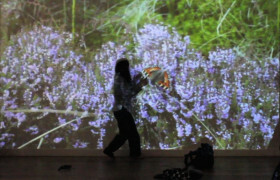 This experimental process of immediate re-imagining culminates in a final performance at Halifax Square Chapel on 20 April 2016. 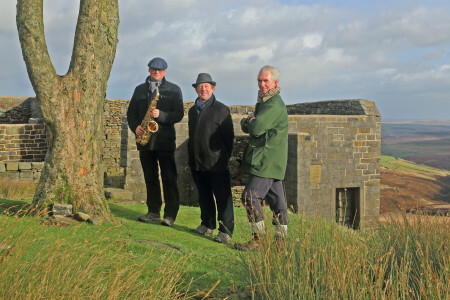 The Collective used the Barn Studio for 3 rehearsals at different stages of the project, and made Whitestone the starting point for 2 exploratory Pennine Way walks (bearing in mind that the Pennine Way passes within 200 metres of our property). 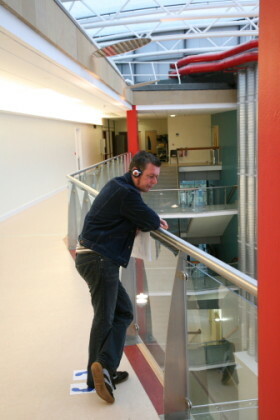 The project was funded with an ACE Grant for the Arts. 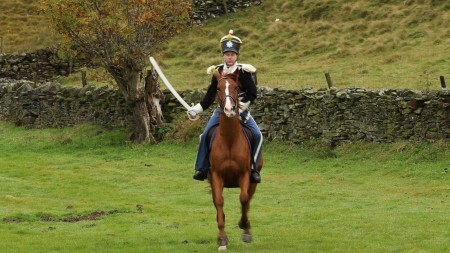 One day photoshoot at Whitestone, October 2015, for Red Saunders’ new tableau depicting the Peterloo Massacre of 1820. This initial photography of the militia charging the crowd will be composited into the final image. 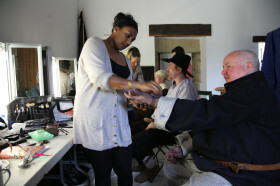 Whitestone Arts provided overnight accommodation, catering, make-up and costume facilities for the crew and cast. and also looked after the horses. Poetry / music / video presentation based on the lives and poems of the Brontës, devised and performed by Adam Strickson, David Wilson and Simon Warner. Originally created for the University of Leeds conference Revisioning the Brontës in 2013, the first full performance was at Bradford Cathedral 2013 and the second at the Brontë Society annual members’ weekend in Haworth 2014. Rehearsals for all 3 performances took place at Whitestone Arts. Simon projects landscape video sequences to accompany Adam’s recitation of his own poetry and poems by the Brontës. Different video sequences accompany David’s specially composed saxaphone and flute music. And sometimes all 3 elements are experienced together. 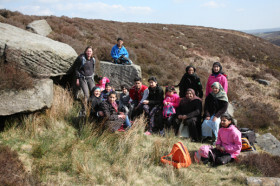 In this third project working with Elders from Calderdale’s Asian community they took women attending the Women’s Resource Centre in Halifax on day-visits into the Pennine countryside, exploring how landscape can serve as a starting point for artwork and conversation. Sessions included arts & crafts, exercise & movement, talking & reminiscing, memories of childhood and life in Pakistan, Uganda and Kenya. From past projects, landscape has played an important part in the Elders’ memories of childhood and homeland. 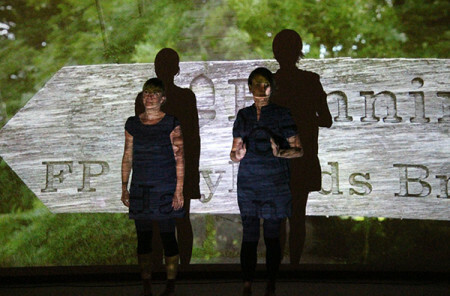 This was a wonderful opportunity for the women to reimagine the landscape of their youth through the hills, rivers and valleys of West Yorkshire. 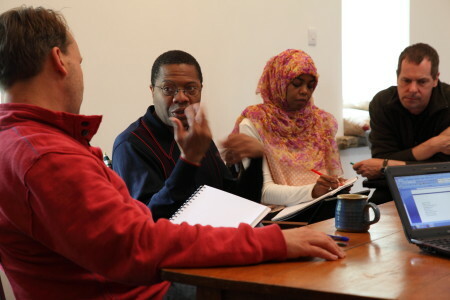 In recent years Whitestone has hosted playwright development workshops run by Snowgoose (director Jonathan Hall). 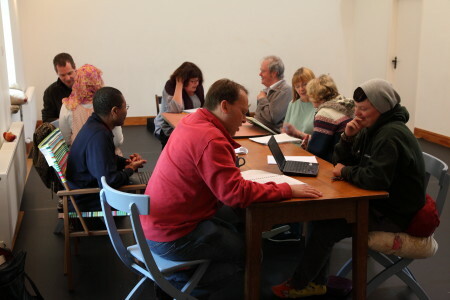 The groups self-cater for these residential weekends, sleeping in the Studio Flat, Stable and Garden Rooms, and in tents. 5 day residential development workshop with Opera North Projects, 2014 exploring Japanese ghost stories. 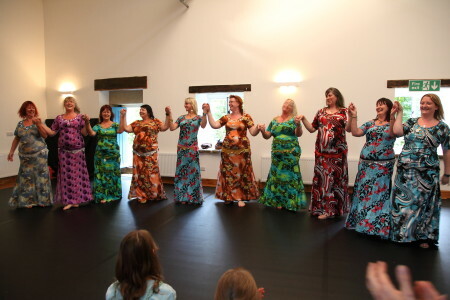 Since 2011 Kay Taylor has been bringing groups to Whitestone for residential weekends of Egyptian dancing. 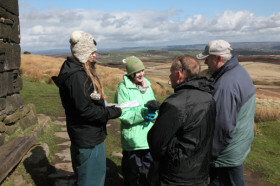 Whitestone Arts conducted a visitor survey on Haworth Moor over the Easter holidays 2012, as part of Simon Warner’s artist residency with the Watershed Landscape Project (Pennine Prospects). With the help of Jasmine Taylor and Rebecca Stott, travel and tourism students from Leeds City College, Keighley Campus, we asked walkers what brings them to this much-visited area of open country. 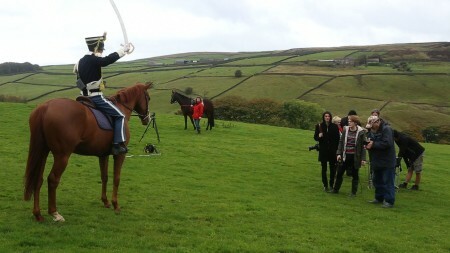 The findings, including voice recordings and photographs, formed part of our live performance Crossing the Line at Unbounded Moor, a symposium on landscape and literature held in Haworth in October 2012 under the auspices of the Brontë Parsonage Museum and Ilkley Literature Festival. Also for Simon Warner’s Watershed Landscape Residency, we hosted a group of walkers from the Grange Interlink Healthy Living Centre in Bradford. 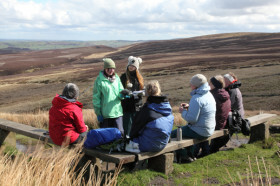 Arriving by minibus, the group collected in the barn studio for refreshments and a slideshow of Haworth and Stanbury Moors, intended as inspiration for the group’s own photographs. They then walked to Ponden Kirk and picnicked by the stream. 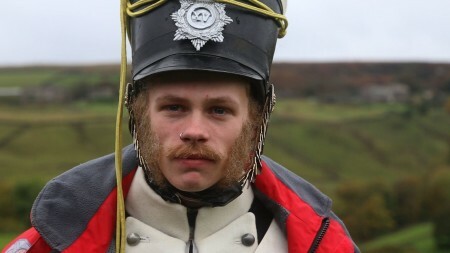 Celebrated photographer Red Saunders was commissioned by Impressions Gallery and The Culture Company to create 3 new photographic tableaux, inspired by historical events in Yorkshire, for the Ways of Looking photography festival in Bradford, October 2011 (www.waysoflooking.org). 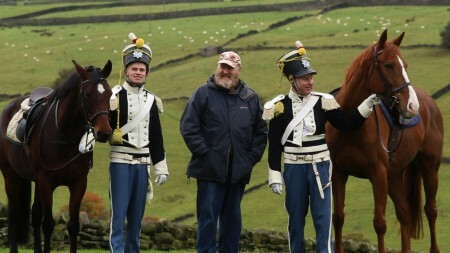 Using Whitestone Arts facilities, a cast of civil war soldiers, agricultural labourers, horses and a saint were photographed at Whitestone, Ponden and Bradford in July 2011. 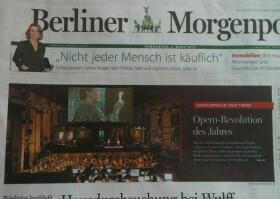 Opera by Luigi Nono, directed by Katie Mitchell for the Berlin Staatsoper 2012 and Salzburg Festival 2009. Whitestone Arts hosted camera rehearsals for the extensive live video sequences designed by 59 Productions. 3 weeks ensemble training and rehearsal led by John Britton at Whitestone for the Milton Theatre, Huddersfield production of The Shattering Man. The company lived and worked at Whitestone throughout the period, eating meals prepared by chef Michael White. 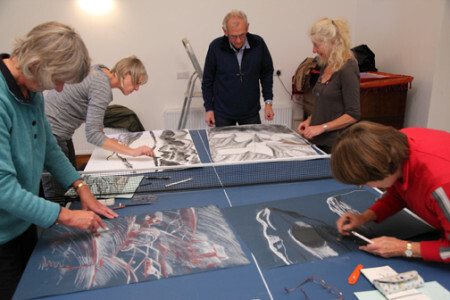 Participants on this course explore many different approaches to the practise of drawing, and experiment with different techniques. 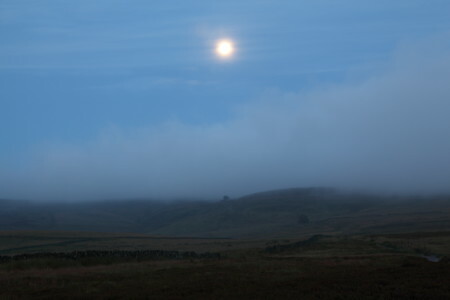 The venue, with its old buildings and the immediate farmland, gives out onto open moorland, all of which provide subjects and challenges to observation and recording. The large barn studio at Whitestone gives room for both group drawing exercises and personal workspace. 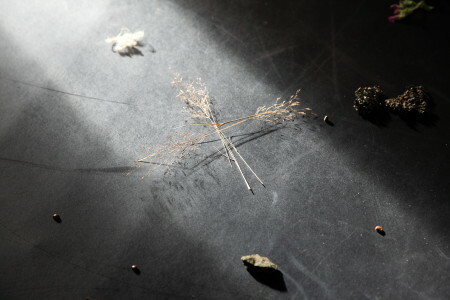 Part of the course involves walking in the landscape with materials to draw and experience how drawing expands seeing. These drawings can be a springboard for studio work. There is a small printmaking ingredient in the latter part of the course. Suitable for all levels of skill, this workshop can be seen as part of personal development or be more directly applied to the world of theatre and dance. Two walks taking an hour each day, on moorland terrain requiring good shoes and waterproofs, will be led by one of our hosts. Walking and Dancing is simply that, walking – in the form of taking yourself for a ramble across beautiful countryside from Whitestone, and dancing – in the form of creative, improvised and choreographed movement. A different walk will be encouraged and experienced at the beginning of each day, which will precede and inspire the dance for the remainder of the day in the studio. 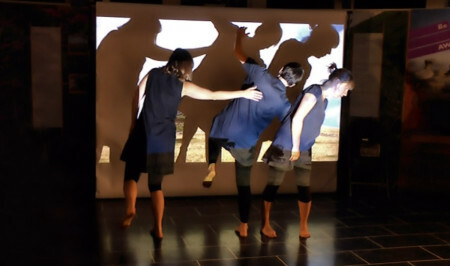 Various ways to translate the experience of the walk into movement and dancing will be offered such as visualisation and improvisation, and the experience of a variety of choreographic processes as a means to set/fix creative movement. 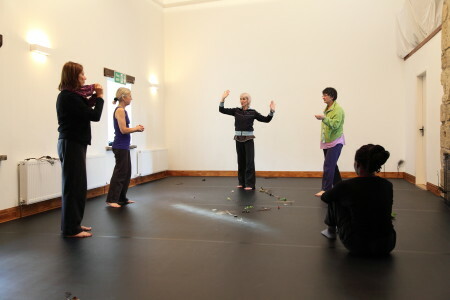 Having trained at The Laban Centre, London, Cunningham Studios, New York and Temple University, Philadelphia, Ruth Jones is first and foremost a contemporary movement practitioner and choreographer. Her work has been shown nationally and internationally over her 25 year career. In the past 15 years, Ruth has taken her own dance work out of the usual black box. In her personal practice she now specialises in Sited and Site Specific work. 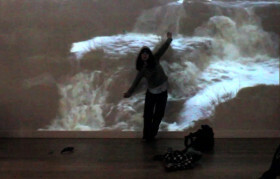 Her Manchester based Axial Dance company tours outdoor works around the country. Also, some 15 years ago, Ruth became interested in theatre and began choreographing theatre work and teaching movement for actors. She has since choreographed over 50 productions for UK theatres. Explore a landscape of stark beauty; enjoy exhilarating walks and investigate the geology of this distinctive area. No experience necessary. 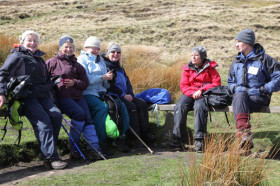 The walks, typically 4-6 miles with picnic, can be adapted to meet the needs of the group. Programme: After the Friday evening meal, enjoy an illustrated introduction to the landscape and geology of the local area. 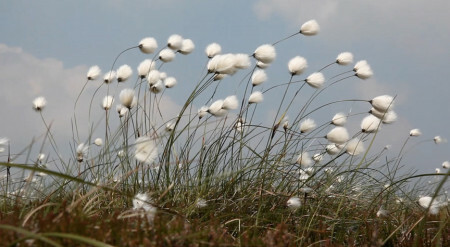 On Saturday morning our walk takes us up to the highest moorland to orientate ourselves in the landscape and enjoy extensive views in all directions. After a picnic lunch we follow a section of the Pennine Way past Top Withens, popularly credited as the setting for Emily Brontë’s Wuthering Heights. Exploring some of the deep valleys we have opportunity to look at how the rocks have been formed and influence the shape of the land. Returning to Whitestone there is time for relaxation and the option of a further talk/discussion after the evening meal. On Sunday morning we head down the Worth Valley to Haworth, following an ancient packhorse route and exploring old industrial sites along the way. On the moors above Haworth in Penistone Hill Country Park we gain some insight into how the rocks were formed, and the effects of changing sea levels as sediments were being deposited in a huge river delta. 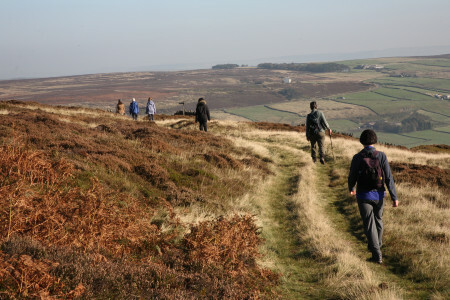 We return along a section of the Brontë Way, past old mines and the site of Stanbury’s ‘gold rush’, our route once a favourite walk of the Brontë sisters. 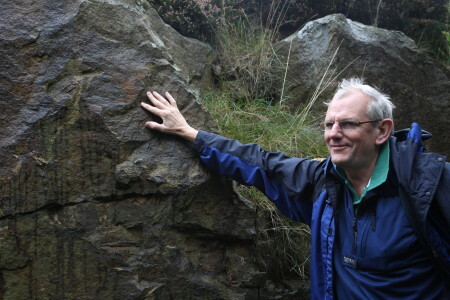 Biography: The workshop leader, William Varley, has a specialist interest in landscape, geology and historical geography. 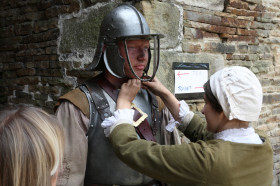 A former teacher and geography inspector, he has planned and led field trips in the Yorkshire Dales, the North York Moors, the Lake District, Northumberland and Scotland and Iceland. In total, he has spent over a year of his professional life leading trips and expeditions. This workshop is suitable for beginner playwrights or more experienced writers looking for inspiration and alternative ways to get started. It can be seen as part of personal or professional development. THE WRITE PLACE celebrates the impact of location on creativity, kick-starting the weekend with practical writing exercises that draw inspiration from the beautiful setting of Whitestone Farm. Enjoying the luxury of time and space, you will be encouraged to take an holistic approach to your writing, by ruling everything in – seeking inspiration from your own personal experience, your current surroundings, your thoughts and feelings, and your observations of the everyday and the unique – to create characters and to explore where and how to start writing a play. Understanding the tools that good playwrights use is an essential part of the creative process: What is dramatic action? What makes a scene? How does structure make or break your story? Through a rich blend of fun, accessible, and practical exercises, games, analysis and discussion, you will learn what you need to know about the craft of playwriting and how to apply it to your play so that what is written on the page transfers to the stage. Ola Animashawun has over 25 years of experience of working in theatre, with 15 years specialist experience in the field of playwriting workshops and script development. He is an Associate Director of the Royal Court Theatre where he founded and directed the famous Young Writers Programme for 10 years, and where he currently leads two of the introductory writing courses offered by the Royal Court Studio, alongside playwriting programmes in Brighton, Birmingham and Coventry. As Euphoric Ink’s Creative Director, Ola delivers an ongoing programme of taster sessions, weekend workshops and bespoke courses across the UK, also working with individual writers via one-to-one tutorials and script development sessions. Nadine Khadr Renton has 10 years of experience of working in theatre and the arts as a project manager, producer, facilitator, script reader and performer. Previously based in Leeds programming shows and workshops at The Carriageworks Theatre, she now works closely with Graeae Theatre Company, and has also worked with the National Theatre and Royal Court Theatre since moving to London. 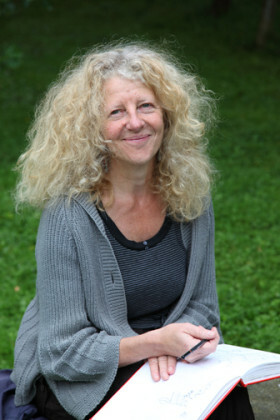 As a writer, Nadine has been supported by the West Yorkshire Playhouse and Soho Theatre. She currently manages Euphoric Ink’s script reading and development consultancy, taster sessions, weekend workshops and bespoke courses. Euphoric Ink aims to inspire, coach and develop anyone who wants to write; to make the experience fun and to keep things simple, practical and accessible. 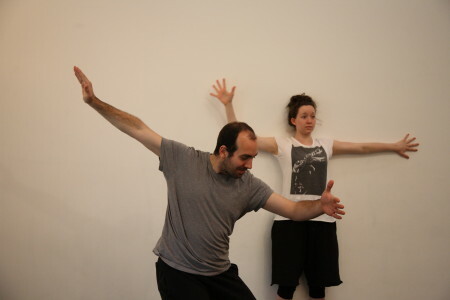 This workshop is suitable for actors, improvisors, dancers, those who train others through improvisation, and any bold and reasonably fit novices who are committed to exploring physicality in performance. 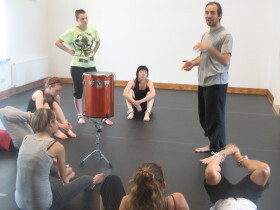 The workshop will combine ﬁxed exercises, structured improvisations and performance scores, to develop your ability to pay attention to ‘liveness’, the workings of the body-mind, the details of task and sensitivity to others. Underlying the work is a suite of principles that can be used in all performance work, including the central importance of taking pleasure in all tasks. 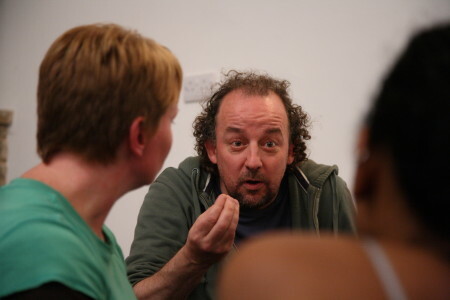 John Britton is a teacher, director and performer who has been developing his approach to Ensemble Improvisation for the last twenty years. 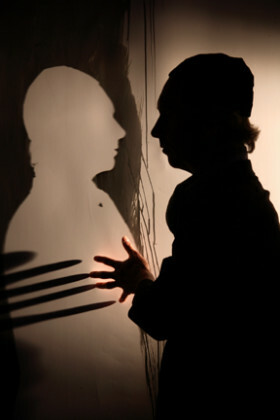 His work is based in both theatre and dance, drawing inﬂuences from European Laboratory Theatre and from the improvisation work pioneered in the US dance world in the 60s and 70s. He is Artistic Director of Duende as well as having an extensive practice as an improvising performer, both as soloist and with Quiddity Theatre. He performs and teaches extensively round the world, including, in recent years, in Greece, France, Australia, Sweden, Germany, Slovenia, Portugal, China as well as the UK. He trained for a number of years with Al Wunder when he lived in Melbourne in the 1990s. John’s book on Ensemble Performance was published by Methuen in 2013. 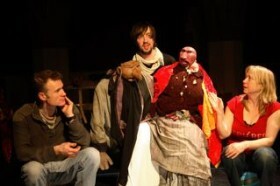 To find out more about his work go to http://www.ensemblephysicaltheatre.com as well as his Facebook site DUENDE. 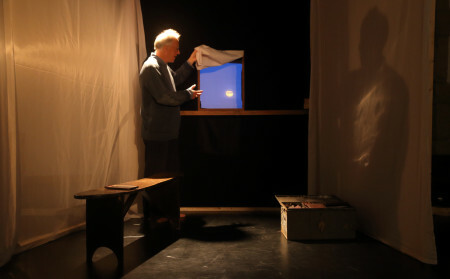 Development and rehearsal facilities for this performed lecture by Simon Warner incorporating magic lantern projection, music, audience involvement and live photochemical demonstration. 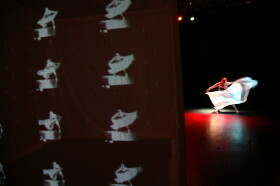 Devised for the ACE touring exhibition Alchemy 2006-7, the show has also been seen at several universities, the Humber Mouth Festival, Light Night Leeds and at the Magic Lantern Society series Professor Pepper’s Ghost.